As experts on the mortgage rates in Los Angeles, we regularly post updates on our blog to keep our clients informed about current national mortgage rate trends. For many weeks this summer, that trend has been a pretty steady decline. This week showed a change, as real estate website Zillow today reported that there has been a rise in the last week. This week, Zillow's user-submitted data showed that the 30 year fixed mortgage rate rose to 3.5% from 3.42% last week, reaching its highest point in 10 weeks. The rate hovered between 3.4% and 3.6% throughout this week, settling at it's current rate this morning. Zillow reported the rate on Mortgage Marketplace for a 15-year fixed home loan was 2.82%, up from 2.76% a week earlier. The rate for a 5-1 adjustable-rate mortgage slipped to 2.38% from 2.4% last week. A 5-1 ARM has an initial rate that applies for the first five years of the loan and then adjusts annually. What is short pay refinance? 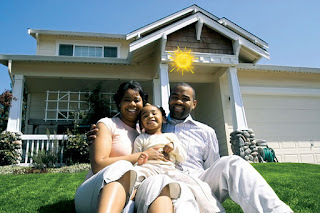 Non-US-Citizens can get a mortgage loan!